Wahaca is the brainchild of Masterchef 2005 winner Thomasina Miers: a former freelance food writer, she opened the first Wahaca in August 2007, a second the following year and now she has eleven branches. Arguably the most successful of the new breed of Masterchef winners, she has also presented TV cookery shows including Wild Gourmet (C4), A Cook’s Tour of Spain (C4) and Mexican Food Made Simple (C5). She is an expert on Mexican food having travelled extensively in the county and reviewed many restaurants in Mexico City. 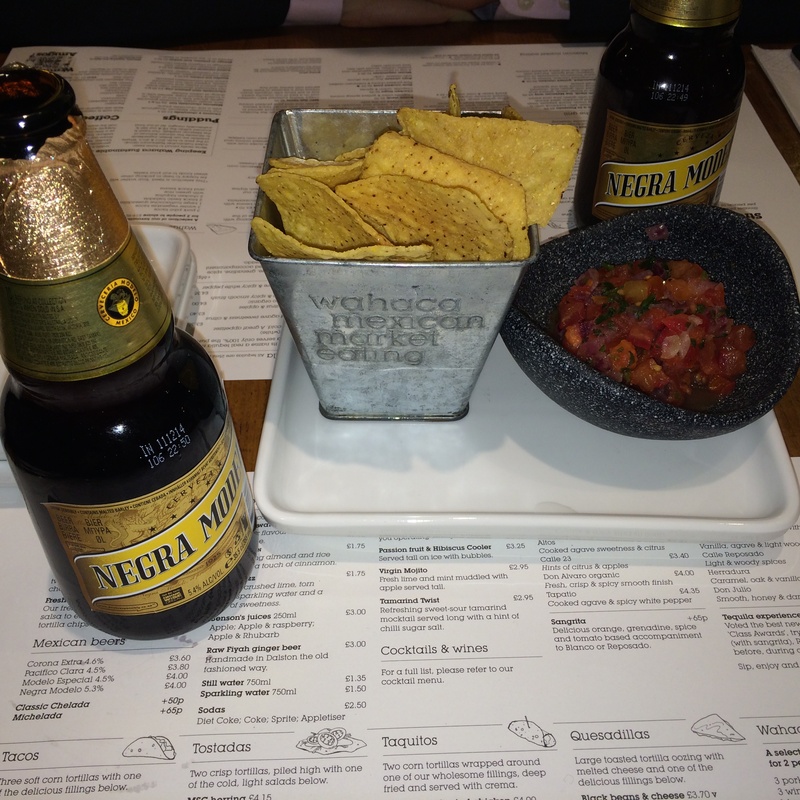 Wahaca serves on mainstream Mexican food, washed down with Tequila and Mezcal cocktails, as well as a selection of Mexican beers (Negra Modelo being my favourite – a dark and malty lager which was first brewed by Austrian immigrants). I went along to the Soho branch on a Monday night – we were able to get a table without any problem but you might have to queue for a table on other nights (they do not take bookings). 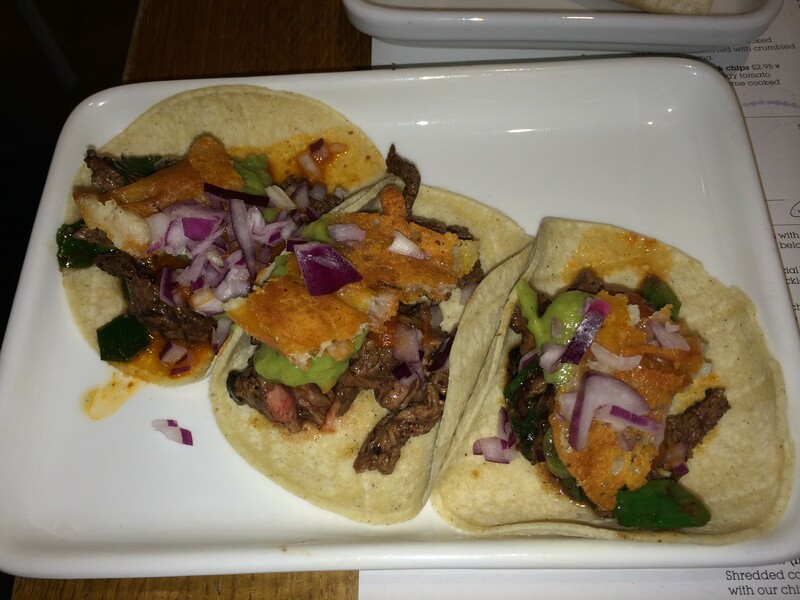 Wahaca has an extensive menu and the dishes are all fairly small and designed for sharing. We started with a black bean tostada £3.8 which centered on freshly prepared black beans paired with rich avocado and, oddly but pleasantly, finished with Lancashire cheddar. 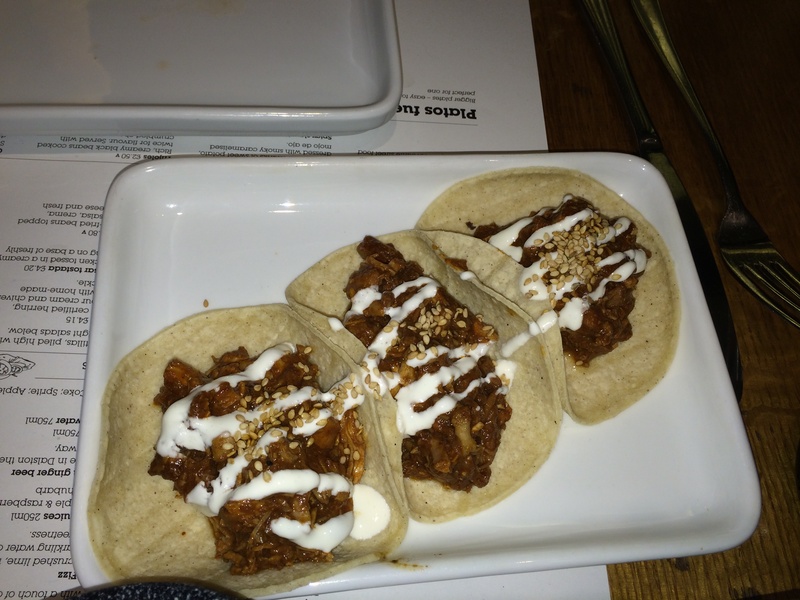 We then moved on to chicken mole tacos £4.1 which were essentially a Mexican style tomato and red chilli curry – the sauce was a tad mild, but the dish was still very tasty. 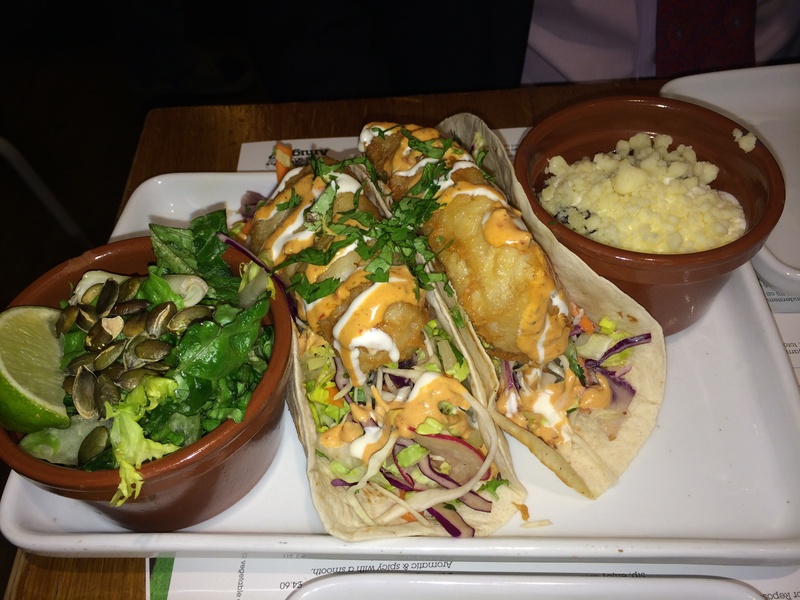 Cod tacos £8.95 were the highlight of the meal for me – the fish was battered and served with a light, well dressed salad. The quality of meat in the steak tacos £4.85 was reasonable and it was served medium rare – however, we made the mistake of ordering the grilled cheese and salsa: the cheese was greasy and the salsa consisted mostly of raw onion – I would recommend ordering this dish without toppings. 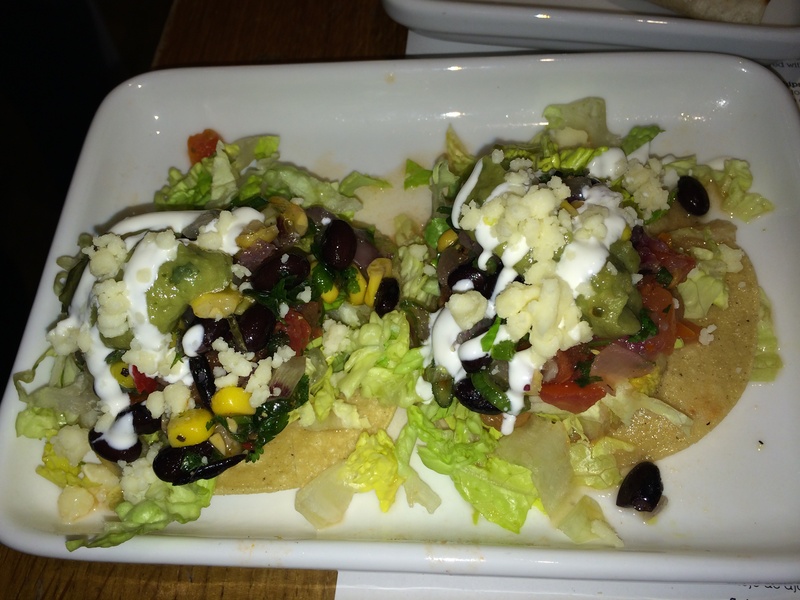 Verdict: good value, unchallenging but well prepared Mexican food. Also see: chow and gent.